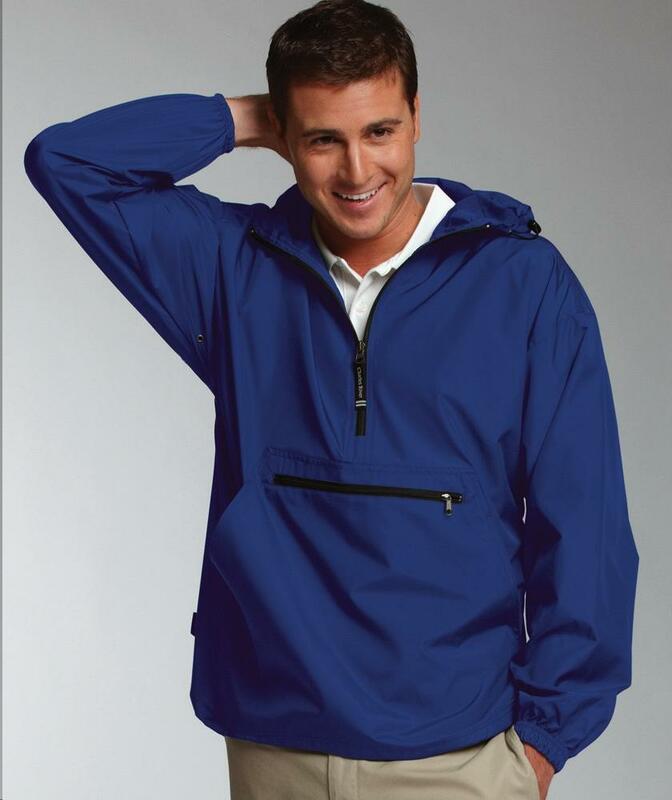 SKU: CR-9904 Categories: Men's Outerwear, Pullover Jackets, Blue, Ice Blue, Pink, Purple Brands: Charles River Apparel. Wind & water-resistant Softex Polyester, unlined. Pullover design accented with black zippers (dyed-to-match on Pink & Columbia Blue). Conveniently packs into its zippered front pocket for storage. Half-moon at neck for easy private/custom labeling. Underarm grommets for ventilation. Elasticized cuffs. Open hem with shockcord drawstring.